Regardless of your strategy, or desire to bring in money, one fact is clear: You need a WordPress personal blog theme to get the ball rolling. Seeing as how most personal bloggers at least start doing this with no intentions of making money, it’s not uncommon for these people to seek out free themes, instead of premium, paid options. Will the Free Theme Have Everything I Need? Using a free theme is perfectly fine, because free blog themes tend to be powerful nowadays, with stunning page layouts, cool shortcodes, easy styling settings and more. Most of them are going to offer responsive designs, and they are all created to put most of the focus on your content. Keep in mind that with most free themes you won’t receive the support/updates you would when paying for a premium solution. Therefore, it’s essential to locate a theme that was built well, allowing you to combine it with different plugins and such. 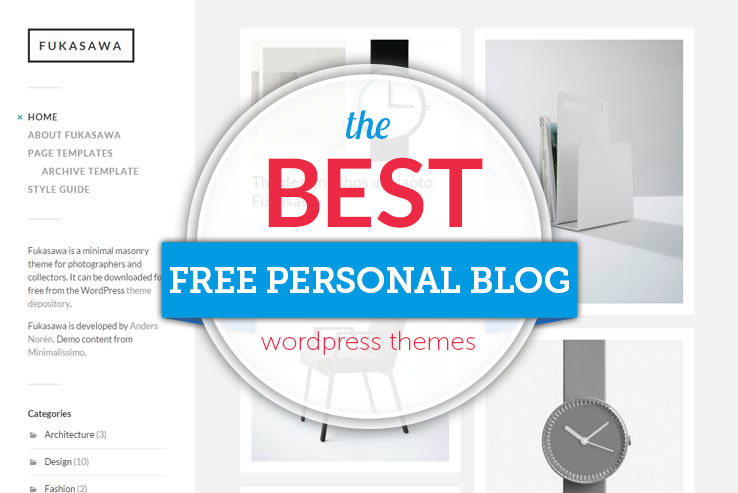 If you are ready to start your personal blogging journey, keep reading to see the best free WordPress personal blog themes on the market. Do you know of any great personal theme that should be on this list? Email us or leave a comment below with any links! Personal themes have always been in high demand, making it a challenging task to find a free personal theme that meets our requirements. 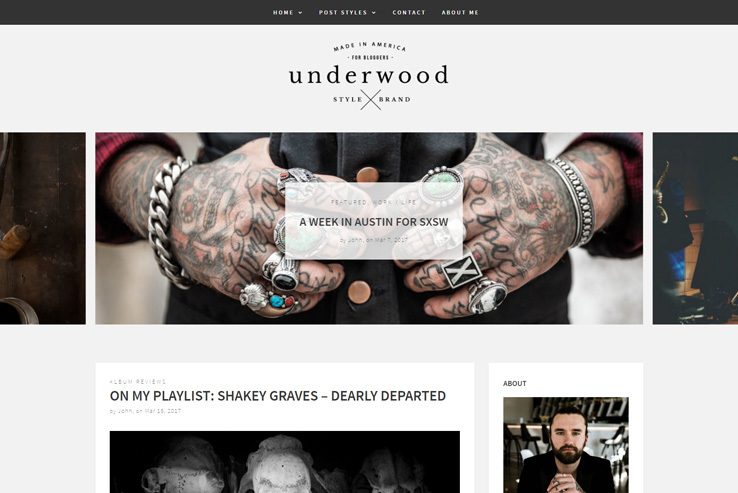 Luckily, I have found Underwood Lite, a fully featured WordPress theme which is available for free. The template comes with three homepage styles and nine post types, which is a lot for any free item. On top of that, it enables you to show the navigation on multiple strategic locations including the header, footer, and sidebar. There is a featured posts slider to help you showcase the popular posts. You can use the alternate sidebar feature to create and display unique sidebars for your posts. The Instagram feed widget and complete social media integration will help you to grow your social audience. Last but not the least, there is a dedicated custom CSS field for applying your own styles. The Hemingway theme tends to come up on the top of lists quite frequently, mainly because the theme is so sleek and stylish. It focuses on a minimalist design, with lots of white space to bring the attention to your most important content. The header area has a great place to put an image and you can even implement some overlaying text to tell people about your website. The theme is responsive and looks great on smaller devices, and it offers a two-column layout for putting some widgets along the sidebar. 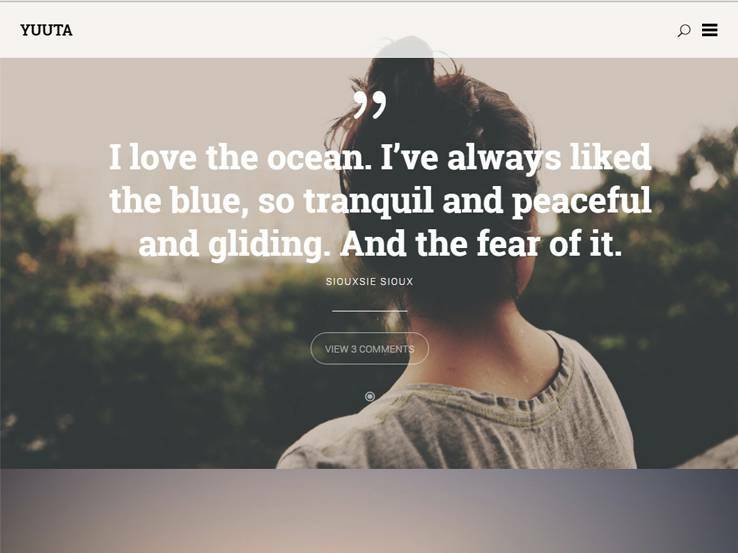 A parallax scrolling effect is one of the main reasons people like this theme so much because you generally have to pay for a premium theme to get something like this. Change your accent colors and quickly upload your logo. The translation ready theme is key for those bloggers who are interested in reaching out to people who don’t speak English. Custom widgets are quite helpful for implementing modules for videos, Dribble and Flickr. We particularly enjoy the Flickr module for those photography bloggers out there. Custom colors and featured images are a nice touch and flexible header is great for showing people where they need to go when on your site. Finally, threaded comments allow people to interact with your articles, which is key if you’d like to show some credibility for your content. 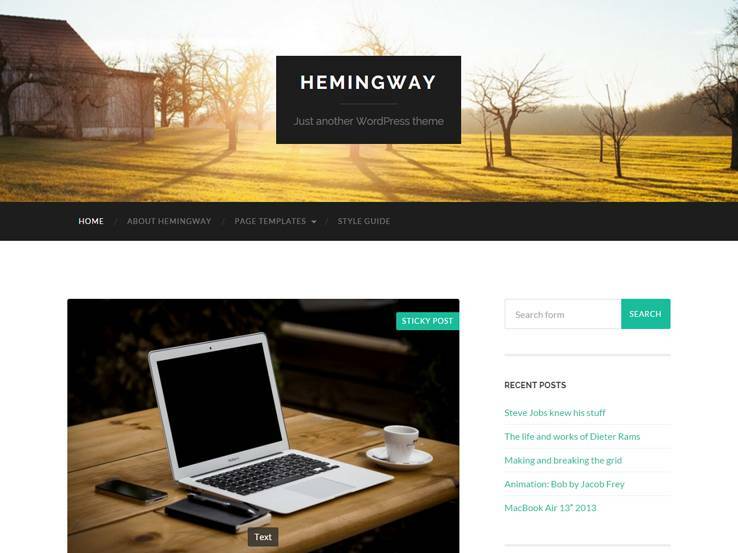 Overall, the Hemingway WordPress theme is one of the best options to choose from, so give it a try. 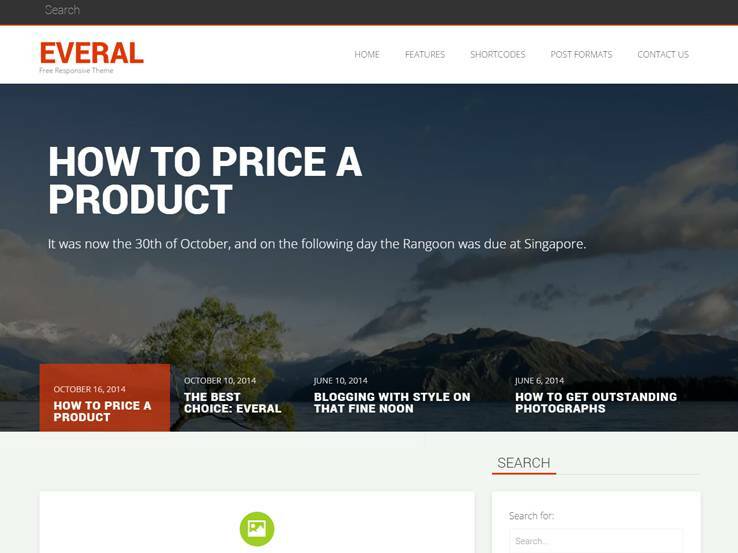 The Everal WordPress theme is another favorite for bloggers and photographers since it offers a clean, modern, and user-friendly interface from both the front and back end. Retina ready graphics are a nice touch and the mobile-ready nature of the theme means that people can view your content on the go. What’s cool is that the Cohhe company actually provides basic support for the free themes, since some of them are sold for a price, yet you can still send them an email if you have a simple question. The advanced options are easy to play around with on the WordPress dashboard and the translation files can expand your audience to people from all over the world. Shortcodes are included with the free theme, meaning that you don’t have to touch any source code to add elements like galleries and buttons. In addition to that, several sidebars are included with the Everal theme, bringing you all sorts of functionality for fitting different content and widgets onto your pages. The slider area is one of the best parts of the Everal theme, considering you don’t get something so sleek with most free themes. The slider is wonderful for linking to other pages or simply sharing your most recent blog posts. Your entire blog feed is displayed on the homepage. It shows featured images and various clips from the articles you choose to share. This theme is also filled with widgets. You can use social media buttons for building your following, along with recent post widgets for listing the articles that have been shared recently. A calendar widget can be used and a search bar is great for keeping people on the right track when navigating around your website. Along with a clean design and plenty of features to play around with on the backend, the Everal WordPress theme is certainly worth checking into. 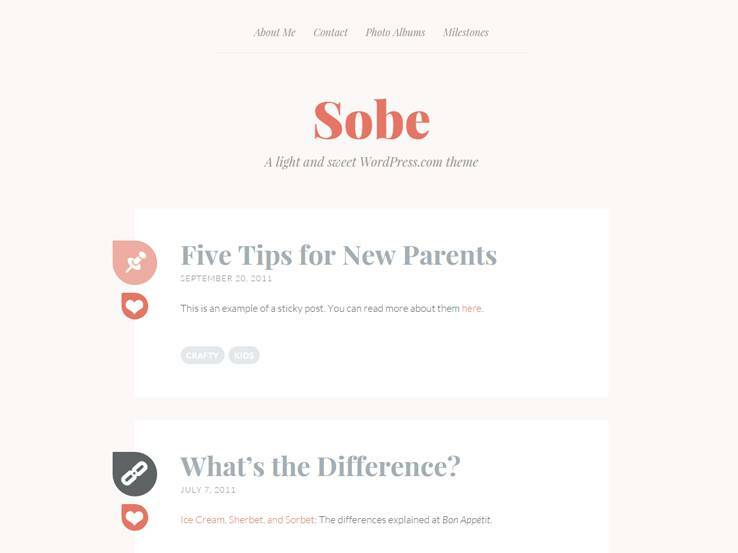 Consider the Sobe theme if you’d like a simple log of all your ramblings. We enjoy this theme because it puts the logo in the middle of the header and most of the content follows this pattern by keeping users focused on the middle of the page. The lighthearted design is great for people who are just trying to have fun with their website and the two-column layout allows you to implement a wide selection of widgets that are included with the theme. You can link to all of your social media sites or display a list of the most recent posts on your website. The responsiveness of the theme comes in handy since so many people are using smaller devices nowadays and the custom background is your first step to branding your website. Custom colors and headers are both included as well. The custom menu is a powerful feature, considering you want to ensure that your customers and visitors know where they’re going and the full-width template serves as somewhat of a landing page, clearing out all the clutter and presenting a clean finish for your most important pages. The infinite scroll feature allows you to feature a lot of content on your page without overwhelming the user. Keep in mind that infinite scroll is not that common for free themes, so you gain access to a beautiful feature. Translation tools are provided with Sobe, which allows you to share your blog with an international audience. Uploading your site logo only takes a few seconds and the post formats are fun to play around with, considering you can make anything from galleries to quotes. All of this is packed into a lightweight little theme and it’s completely free, so give it a go. The Yuuta WordPress theme is one of the standouts here because it has a huge header image that supports high-resolution photos and overlaying text for sending people to other pages. You can also implement a button that works as a call to action when people land on your website. The goal with the Yuuta WordPress theme is to generate a diversified visual diary, so it’s not really meant to make money with, but you can certainly get creative with your designs and change elements that would generally only come with premium themes. Translation files accompany the theme file, meaning that all of your diary thoughts can be shared with people around the world, no matter what language they speak. In addition to that, you get access to threaded comments, which are handy for talking to your followers and encouraging a lively conversation on your blog. The responsive nature of the Yuuta theme helps with people who like to view content on their mobile devices and when you bring up the site on a smaller device it gives you a cool menu that reveals itself only when clicked on. This is a huge feature because you don’t want the menu to take up too much space when people are looking at it on a phone or tablet. A search bar is at the top of the page and you can integrate the theme with various other plugins and widgets, improving the way your website looks overall. The blog is filled with quite a few features to play around with, and the design is strictly meant to support high-resolution images and the content you write below it. Therefore, if you’re a photographer or someone who would like to talk about visual elements, feel free to test out the Yuuta WordPress theme for your own website. 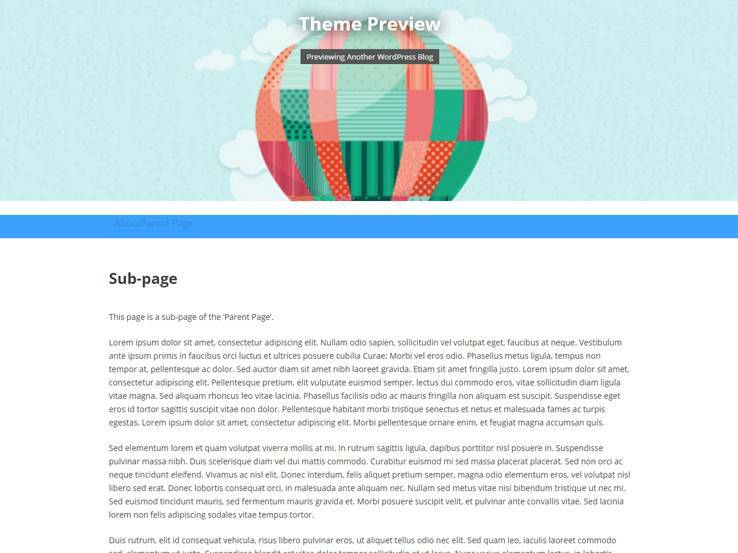 The Highwind theme can be used for businesses or bloggers, considering it allows for a large header image with an image and text. We recommend the theme for people who want to feature their resumes, but it also has the ability to serve as a beautiful blog. The responsive theme has tons of areas to post images, and the image previews are high-resolution and large, allowing you to capture the attention of your visitors. 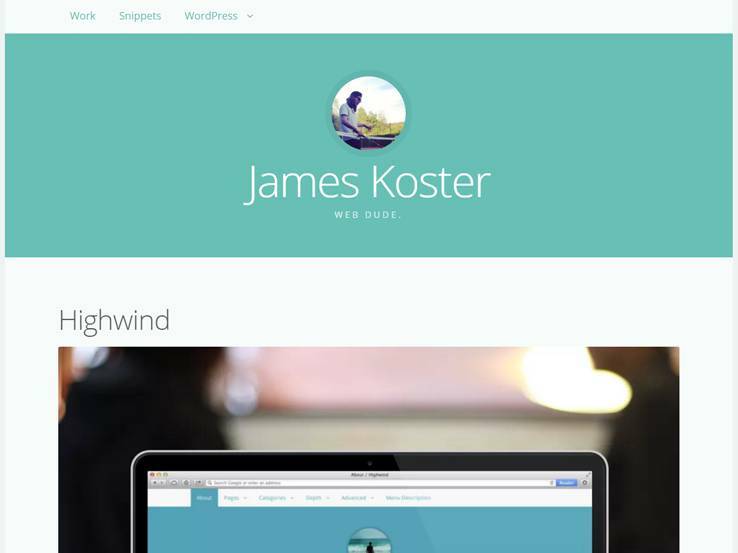 Along with typography options, footer widgets and WooCommerce integration, the Highwind theme comes out high on this list. 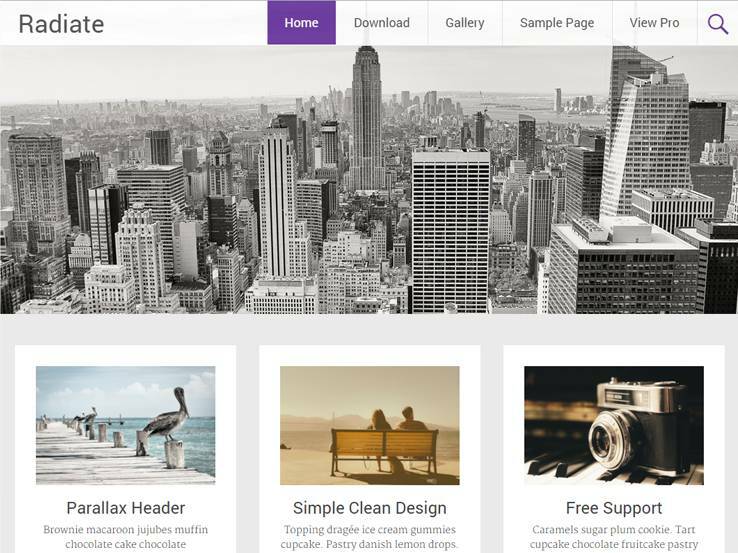 The Radiate WordPress theme is completely free and it has a parallax effect, which you don’t find that often with free solutions. This is a solid blogging theme with responsive elements, meaning that anyone who visits your blog can use their mobile phones and tablets. The clean and creative design offers customization tools for colors, backgrounds, and fonts, along with an area to add your own custom CSS. This is a huge benefit for more advanced developers who want to take a simple theme and turn it into something more unique. An infinite scroll setting helps when users scroll down on your page and continue to see more and more content. Many blogs and magazines utilize this feature to get more views on pages and to keep people on the website for a longer period of time. The translation-ready files come in handy for all bloggers, considering you can get visitors from various countries. In addition to that, you’ll find a beautiful gallery module for displaying sets of images from your experiences. A travel blogger may occasionally share large galleries from different countries. The theme includes a large header image with support for high-resolution photographs, along with a menu towards the top that can be customized on the backend. A search bar assists with helping people find the content they desire and the logo has modification tools on the WordPress dashboard as well. Besides a blog feed right on the homepage, the majority of the Radiate theme consists of widgets. For example, some of the widgets include featured post lists, categories, recent comments, tags, and more. 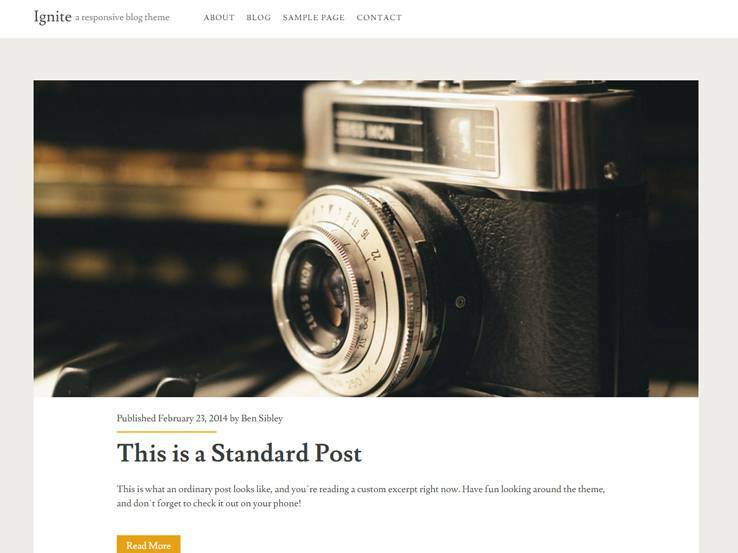 For a free personal blog theme, you can’t get much better than Radiate. Try out the Ryu if you’re on the lookout for a minimalistic theme. The theme features a one-column layout which is perfect for displaying large images. The menu on the theme has been completely minimized and only shows up when someone clicks on it which is perfect for putting your content to the forefront. The Ryu theme also has elegant typography which makes it easy to read your posts and looks great even on smaller devices. Optional widgets are located at the top panel with social media links and a search field. Background color for an image post will automatically match the uploaded image in the post. The theme is completely responsive and it can be customized with the WordPress Live Customizer where you can change your colors, upload a background image, upload a custom header, and much more. Feature your latest post at the top and you can also easily translate the theme considering it’s translation-ready. Various post formats are supported so you can share videos, audio, image galleries, quotes, and more. 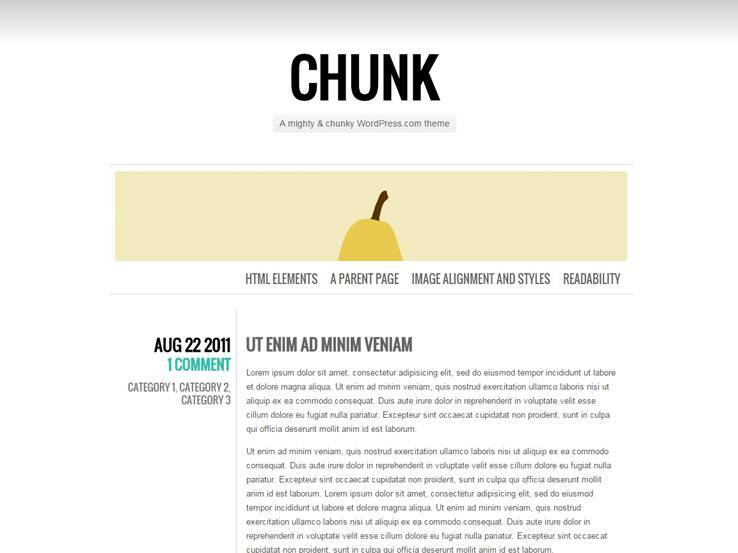 Chunk is another minimalistic theme with a one-column layout and bold typography that’s sure to capture the attention of your visitors. The homepage features a list of your posts and you can share additional post lists in a widgetized footer. You can also include a brief bio and a search bar so your visitors can find posts they are interested in. Multiple post formats are supported so you can share a variety of content, be it images, video or audio. Use the backend to upload your own background and a header and you can also tweak the colors to make the theme integrate with your brand. A standout feature is the RTL language support which is not found in many WordPress themes. On top of that, the theme is translation-ready which means you can expand your reach and connect with readers worldwide. 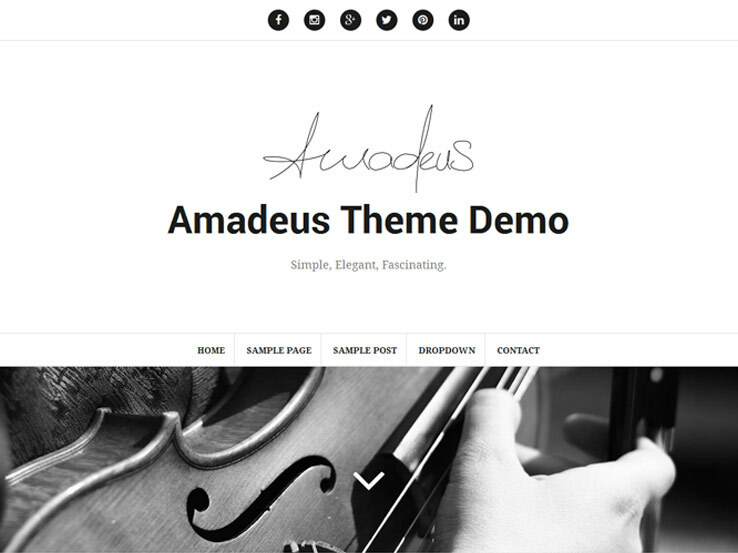 Amadeus is a powerful and free personal blogging theme that has everything you need to share your life with loyal followers. For example, large featured images will lend to your site’s visual appeal and encourage site visitors to click and read. In addition, its responsive design will allow readers from all devices and screen sizes to read what you have to say without endless scrolling or zooming. Garner a larger following by creating a social header for your personal blog, complete with social icons so you readers can share their favorite posts. Embed videos throughout your content for sharing additional content you may have filmed on YouTube or Vimeo. Even translate your content so that those across the globe can join in your personal blogging journey and never miss a post you publish. In the end, this free blogging theme has what it takes to reach a wide audience while giving you space to share what is on your mind. 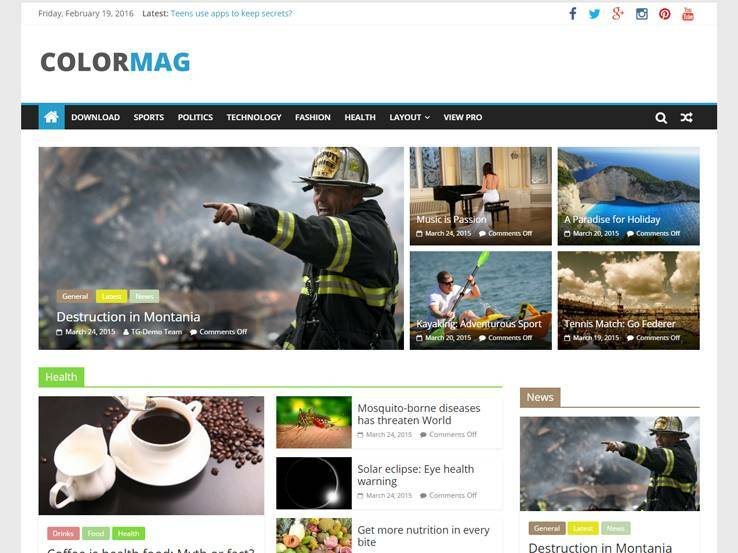 ColorMag is an impressive magazine theme which is perfect for any news, newspaper, magazine or publishing website. The theme starts of with a grid-based slider so you can share more of your stories and there is also a breaking news widget at the top to share the most recent news and updates. Share the latest stories from different categories on your homepage and take advantage of the ad spaces to integrate Google AdSense or any other third-party ads. You can even sell ad space to other bloggers or businesses to monetize your website. The theme includes a sticky menu which makes the navigation incredibly easy and a search bar is included so your visitors can quickly find more posts. Several layouts are provided so you can add some variety to your website. The theme is also compatible with WooCommerce so you can start selling both digital and physical products as an alternative monetization method. You can change the colors and take advantage of custom social media icons to grow your following on places like Facebook and Twitter. On top of that, the theme comes with several widgetized areas and custom widgets so you can simply drag those and drop them where you want them to appear. Finally, the theme is responsive and looks great on just about any device. 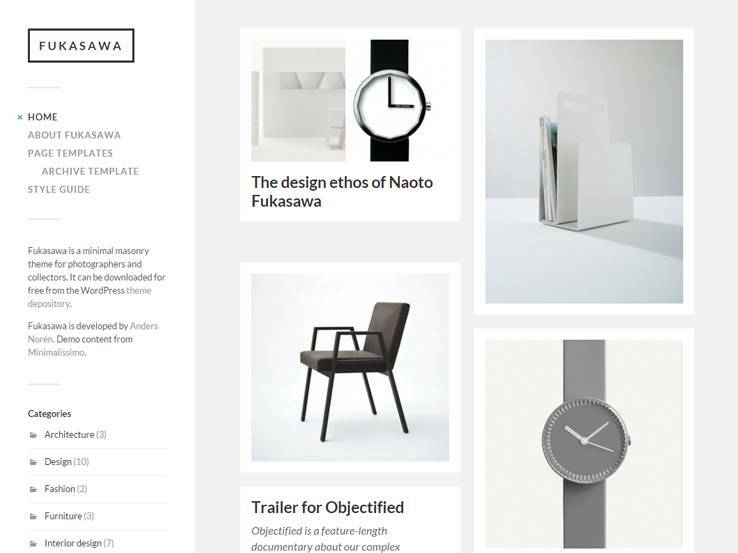 Fukasawa is an innovative minimalist theme that puts your posts, images, and videos front and center. The homepage features a Pinterest-style grid that allows you to display more content. The vertical navigation menu sits nicely on the left sidebar. The sidebar also allows you to display additional site elements such as post categories, Flickr feeds, recent posts and comments, and more. The template includes post formats, allowing you to publish a wide variety of content types; from videos to image galleries and audio posts. Besides, there’re plenty of customization options – upload your own logo and change colors and backgrounds to match your style. 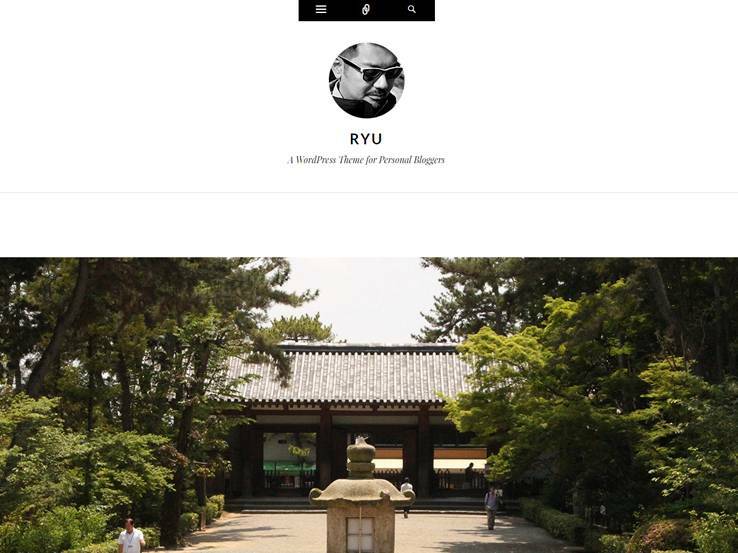 Visitors will enjoy reading your blog whether they’re on smartphones, tablets, desktops, or high resolution displays since the Fukasawa theme is responsive and Retina-Ready. 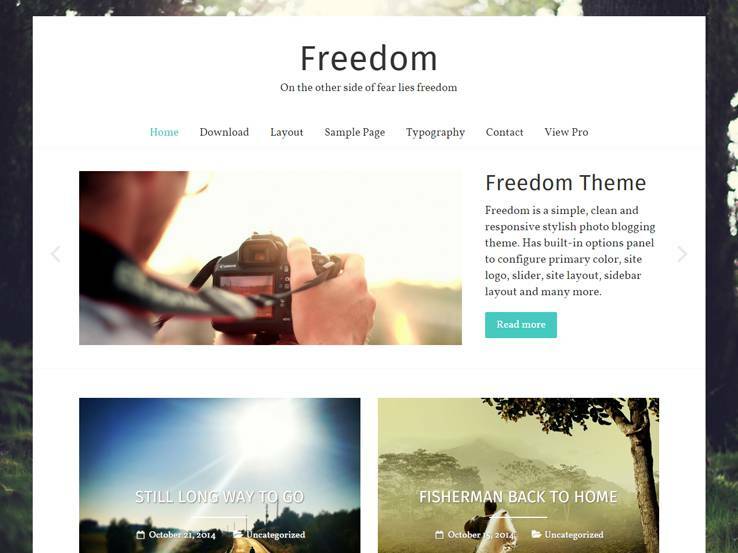 The Freedom theme is a great option if you have lots of photos to share through your blog. It comes with a clean, photo-friendly layout that highlights your post’s featured images, a beautiful front page slideshow to showcase your best content and draw in visitors, several page layouts to add variety, and hundreds of fonts and multiple color options for branding purposes. 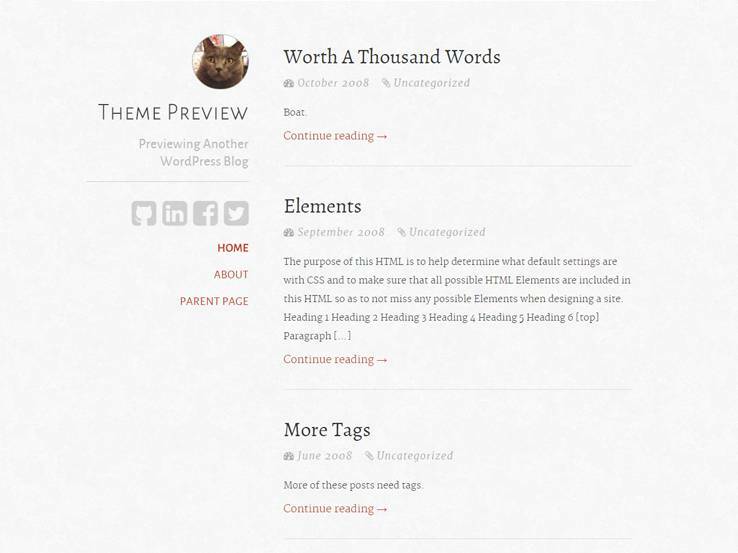 The template comes with over 6 widget areas, which provide somewhat a drag-and-drop interface when creating your blog. Also, you can easily connect your social media profiles or translate your blog into different languages. 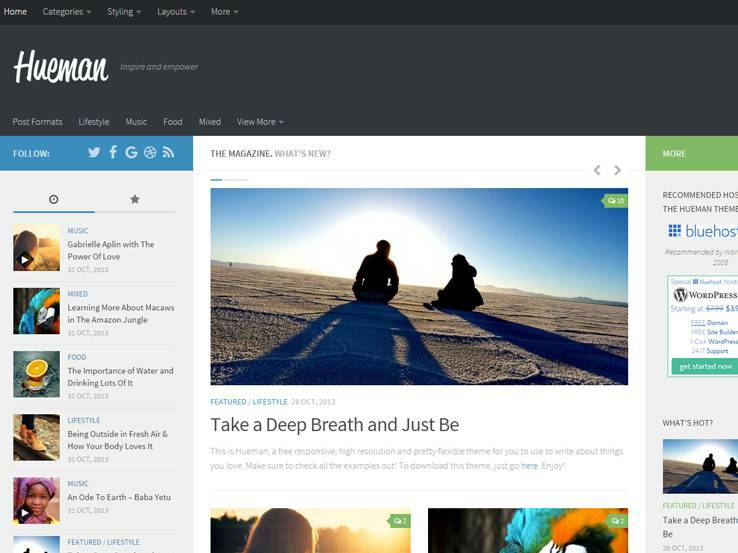 The Hueman Lite theme is an incredibly beautiful, stylish and modern blog and magazine WordPress theme. The front page displays you latest posts with large featured images, and you also get beautiful sidebars to display more content and keep readers on your blog. The template is fast and fully responsive, which means your readers will enjoy a seamless experience whether they’re on mobile devices or desktops. Moreover, you’ll be able to set your own custom menus and colors to match your style, or translate your blog and go international. 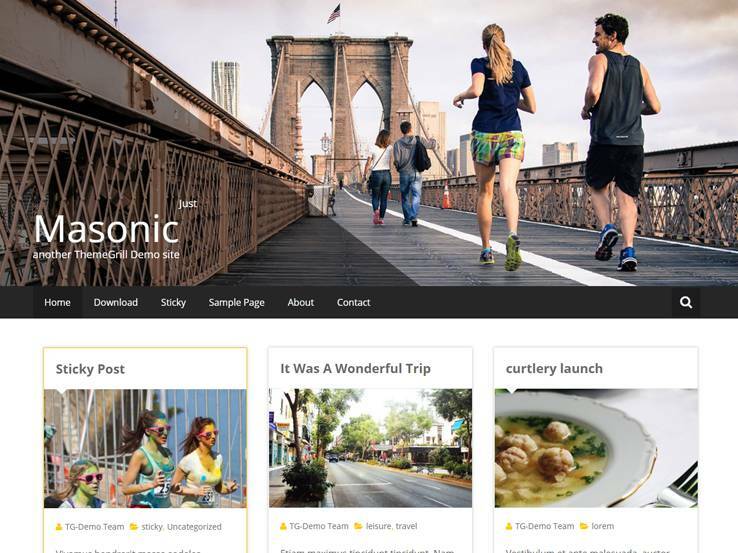 From Themegrill comes Masonic, a beautiful Pinterest or Masonry style personal blog theme. Welcome your blog visitors with a large attractive full-width front page banner followed by an eye-catching display of your blog posts right below. The responsive design provides for a smooth browsing experience on mobile, while the 4 widget areas allow you to insert more elements to your blog without coding. The template is optimized for speed to ensure visitors don’t wait long, and it’s SEO-friendly so you’ll have no problem ranking in search engines. You’ll also find easy customization options to match your style, and translation files if you’d like to display your blog in different languages. 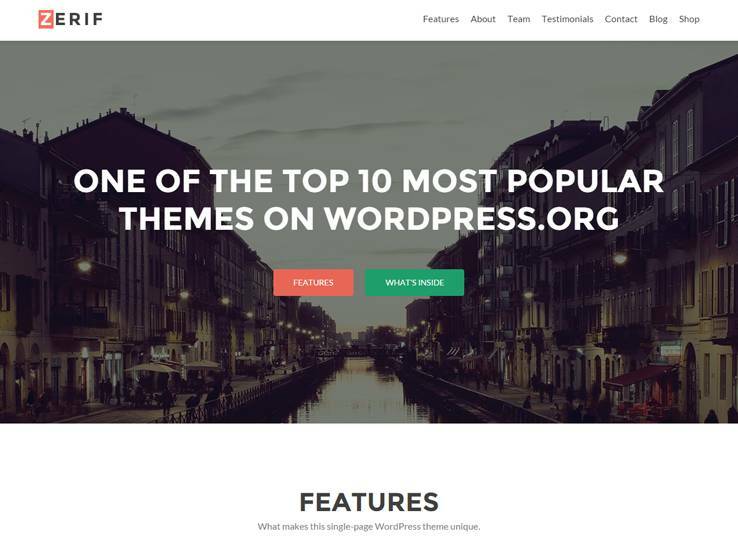 The Zerif Lite theme is one of the most popular free WordPress themes. It comes with all the features you’d need to launch a professional blog. You’ll find a stunning fullscreen front page banner complete with overlaying text and buttons to draw-in visitors, well-organized sections, a contact form, and eCommerce integration if you’d like to add an online shop to your blog. Every element of the theme can be translated, meaning you can easily reach a global audience. Besides, the theme developers provide support, and you’ll find lots of customization options including custom backgrounds, colors, and layout options. 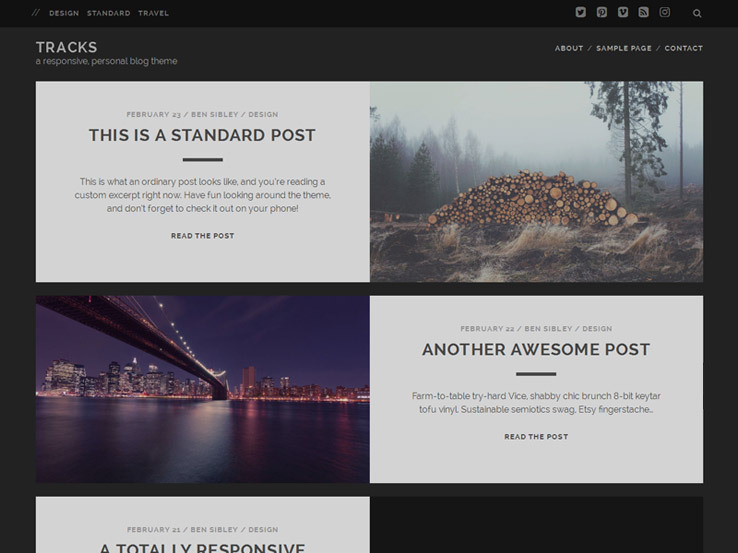 Meet Medium, a clean and fast WordPress theme that’s perfect for blogs with lots of photos. 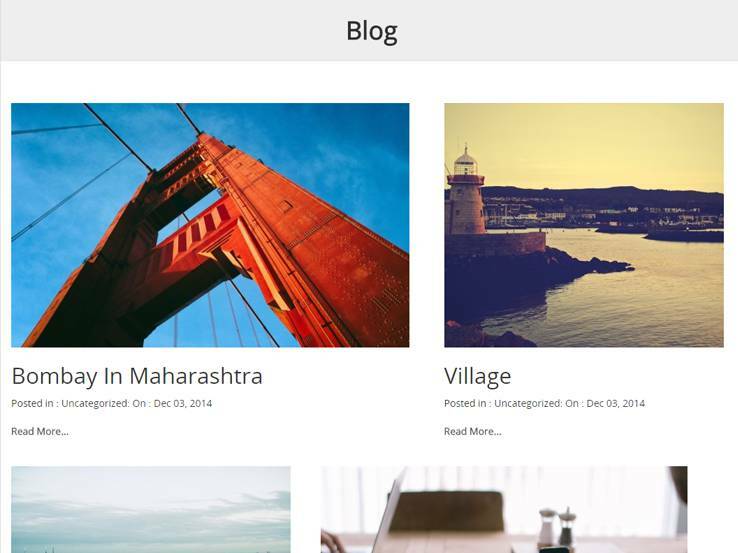 The blog page features your posts in a beautiful masonry layout with large featured images that add depth to your site. The minimalist design includes lots of negative space, which puts your texts and images at the forefront. The fully responsive template layout looks awesome on all device types. Your readers will enjoy a smooth browsing experience whether they’re on mobile or large desktop screens. Additionally, the Medium theme is built with clean code and is SEO-friendly so you can generate traffic from search engines without a problem. 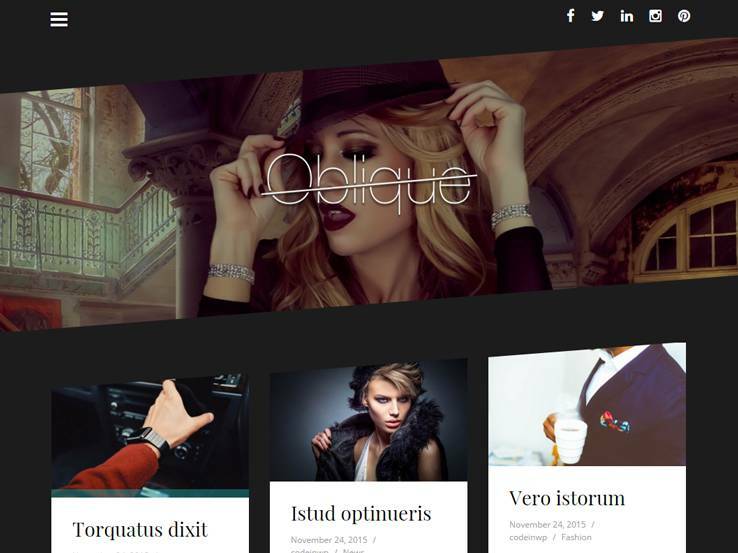 Coming from Themeisle is Oblique, an elegant masonry style theme with a responsive design and a stylish and intuitive slide-out menu to guide visitors around your blog. Beautiful theme customization options make it easy to style the template. You can easily add your logo, link your social profiles, and change colors and layouts according to your needs. The theme comes with translation files, making it easy to convert your blog to different languages. Furthermore, the code is top notch, ensuring your site loads fast and ranks high in search engines. 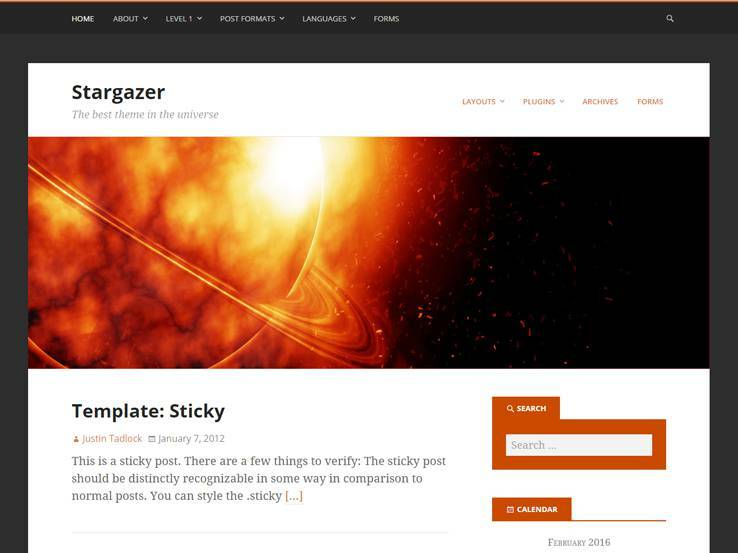 The Stargazer theme provides a clean and elegant option for personal and professional bloggers. It’s based on the powerful and intuitive Hybrid Core theme framework, which provides impressive features and a user-friendly interface to configure your blog. You can easily change backgrounds, colors, layouts, and header styles according to your liking. The template is coded with SEO in mind to ensure you have no problem ranking in search engines. Besides, you can easily translate the theme into different languages and since it’s responsive, your blog will render correctly on all devices and screen sizes. Writr is a minimalist Tumblr-style theme that puts the focus on your content, making it a great choice for personal blogs of all kinds. It brings a clean and stylish design that features a vertical side menu and a beautiful logo at the top left. The template supports all post formats, offering a variety of ways to present your content- from images and audio to video and link posts. We also like the easy customizing options available. The theme customizer allows you to display your Gravatar in the header or set your own custom header image, customize colors and backgrounds, menus, and layouts. You can also connect your social media profiles and translate your blog into different languages without a problem. The Customizr theme is appropriately named because it’s flexible and easy to style to match any niche. It comes with several homepage layouts to choose from and page templates to easily create pages like contact us and gallery pages. In addition, the theme supports all post formats so you’ll have a variety of ways to publish your content. Welcome your visitors with a beautiful fullscrreen slider complete with overlaying text and buttons to drive readers further into your blog. Besides, the Customizr theme integrates nicely with popular free plugins like WooCommerce for setting up an online store and bbPress if you’d like to build a community around your blog. The Boardwalk theme is designed and developed by Automatic, the team behind the WordPress CMS. You’re, therefore, guaranteed of a well-crafted product that adheres to all WordPress best practices. The theme brings a clean, versatile and minimalist design that puts your content front and center. And unlike most other themes, this template uses horizontal scrolling, which provides a unique browsing experience. The available customization options allow you to style the way your blog looks and works. Configure your menus, featured images, custom colors, and more according to your needs. Also, you can automatically display your social links so people can easily follow you and spread your content around the internet. 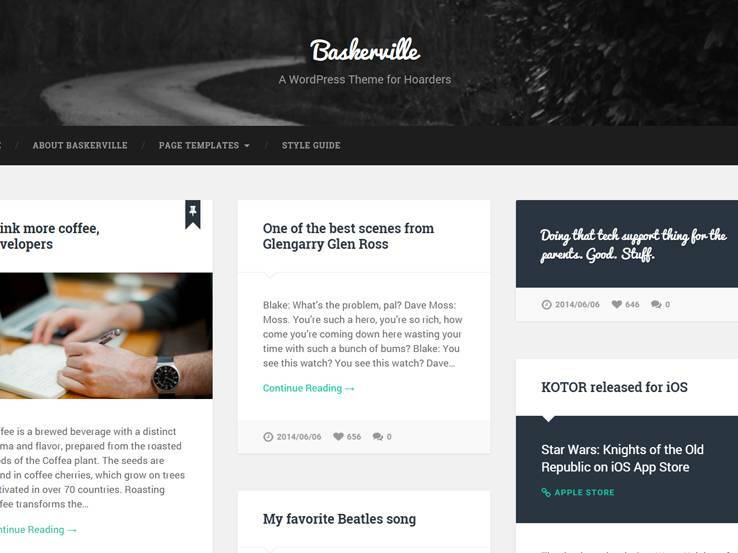 The Baskerville theme’s masonry layout makes it a great choice for those of you with lots of content publish. The template supports all nine WordPress posts types. You can easily publish gallery slideshows, audio, videos, quotes, link posts, and more. You’ll also find several page templates including a contributors page that lets you showcase your blog contributors, complete with their avatars, descriptions, and social media links. In terms of customization options, the theme allows you to upload your custom header and logo, display custom widgets, and translate your blog into other languages. Besides, the Baskerville is fully responsive and Retina-Ready, meaning your blog will look beautiful on mobile devices and high resolution displays. The Typefocus theme aims to keep readers engaged with your content. It features a clean and minimalist design with lots of whitespace to put the focus on your content, and beautiful typography that makes it easy to read your posts. Formatting and color options allow you to style the template according to your needs. The template comes with an elegant sidebar that you can use to display things like your author bio, subscription boxes, tags, and more. We also like the large fullscreen banner that will immediately capture visitor attention. Also, there’s an email subscription form and social icons to supercharge your blog marketing. From Competethemes comes Ignite, a clean and simple WordPress theme that looks great on phones, tablets, laptops, and any other screen size. The minimalist design consists of plenty of negative space, which means readers will have no problem focusing on your content. The template supports post formats and you can also add beautiful, responsive galleries to any page or post. Integration with social media makes it easy to get word out about your blog. Furthermore, the theme developers have prepared extensive tutorials to guide you along. They also provide top-notch support, something you won’t get with most free templates. Tracks is another beautiful content-focused theme on this list. 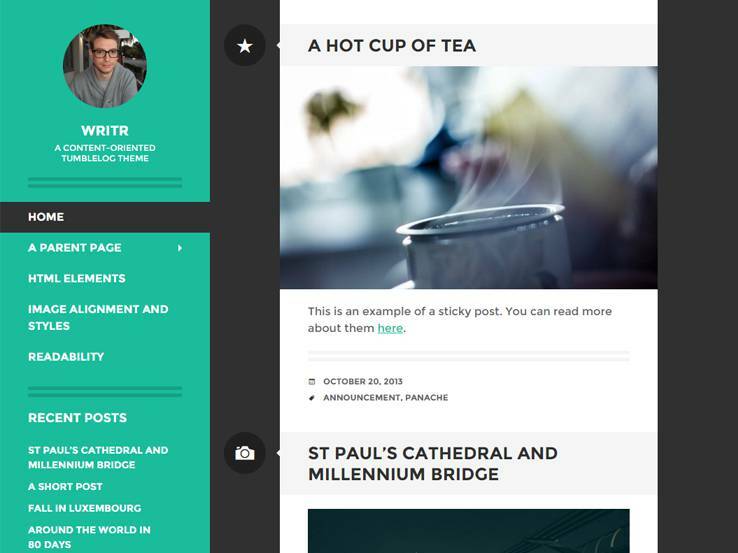 The front page features a grid-style layout with bold elements that’ll make your blog stand out. If you have lots of images to accompany your posts, you’ll love this template’s photo-friendly design. We also love that the theme developers provide on-going support besides the comprehensive tutorials that come with the template. Also, the Tracks theme integrates nicely with social media, making it easy for people to follow you and share your content. 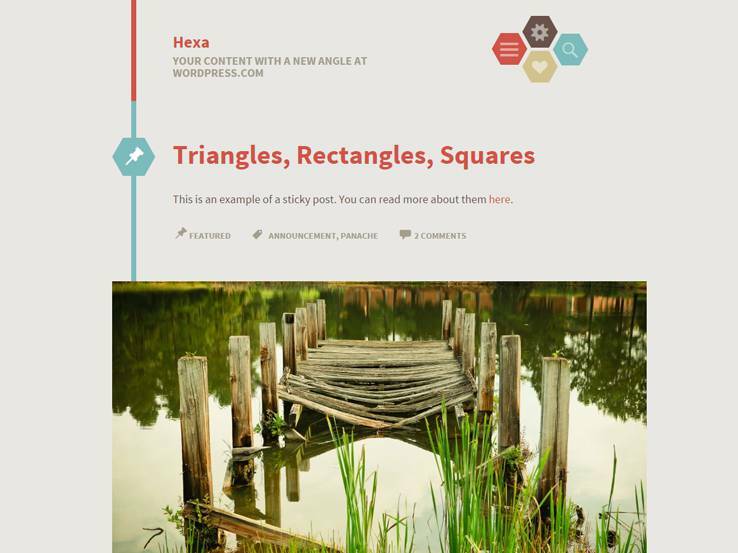 The Hexa theme comes with an innovative design that makes it a great choice for creative bloggers. Use it to launch an eye-catching blog, complete with colorful elements, featured images, and a wide variety of post formats. The sticky posts feature allows you to highlight your best content, while the responsive design ensures that people can access your blog from any device. Customization options include custom headers and backgrounds, custom menus, color schemes, and widget areas that allow you to add features without the need to code. You’ll also find social icons to connect with your social media profiles and translation files if you’d like to localize your blog. 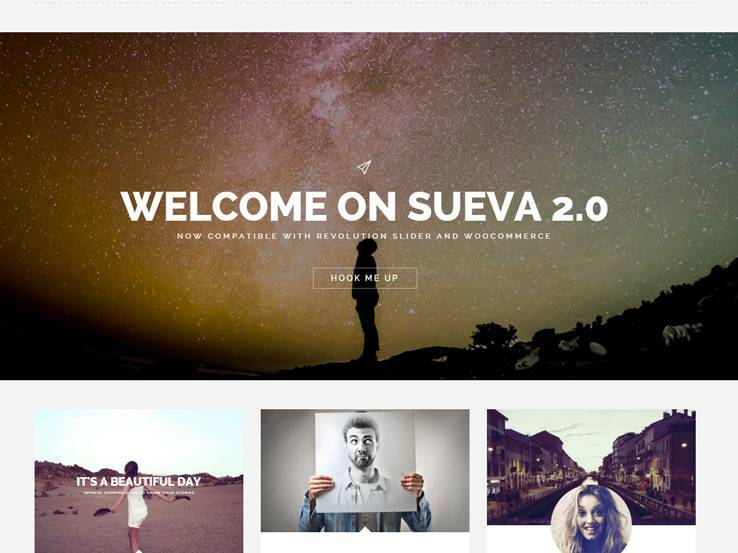 The SuevaFree theme was designed specifically for personal and lifestyle bloggers. It features a simple layout, optimized for distraction-free reading. The masonry layout allows you to create Pinterest-style blog, which is great for showcasing lots of content. The template is multipurpose, which means you can easily customize it to match your style. You’ll find 5 different header layouts, two different layouts, post formats, a one-page section, and an intuitive theme options panel for configuring your settings. Besides, the SuevaFree theme is compatible with lots of useful plugins like WooCommerce, which enables you to sell products, Contact Form 7, and more. 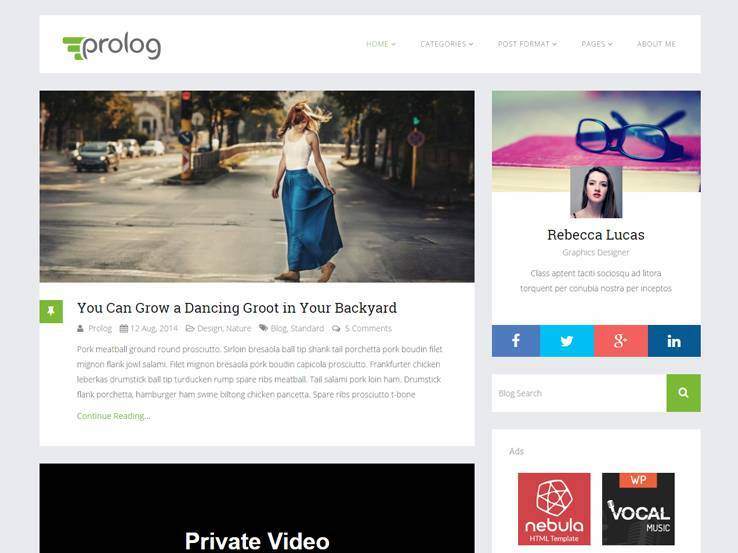 Prolog features a clean and stylish design , which will increase user engagement on your blog. It comes with several blog layouts including masonry style, and left or right sidebar. You’ll also love the post formats, which include galleries, audio and video posts. Also, you can easily embed content from platforms like Vimeo, YouTube, and SoundCloud. The theme comes with a nice author box, which you can use to share your bio and link to your social media accounts. This adds a personal touch to your blog and increases reader loyalty. Additionally, you’ll find multiple color options and hundreds of fonts for branding purposes, custom widgets, and detailed documentation. 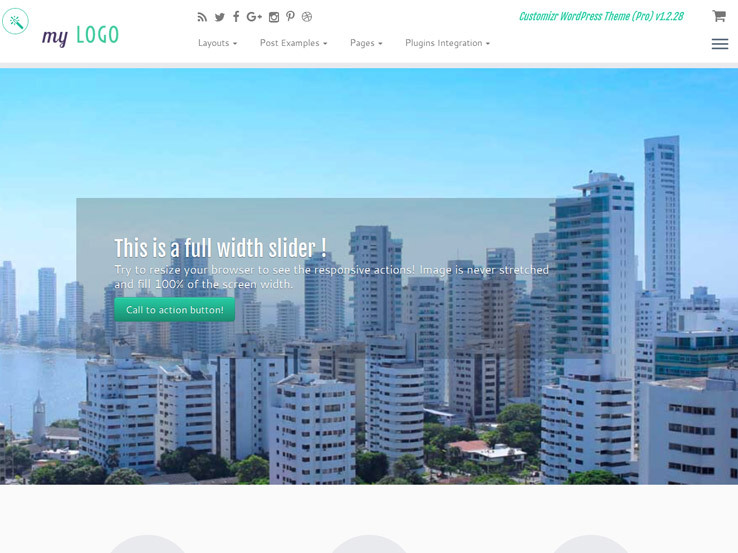 The Parablogger theme comes with a nice header that features an amazing full-width banner. It provides a great option for bloggers who like to blog regularly. 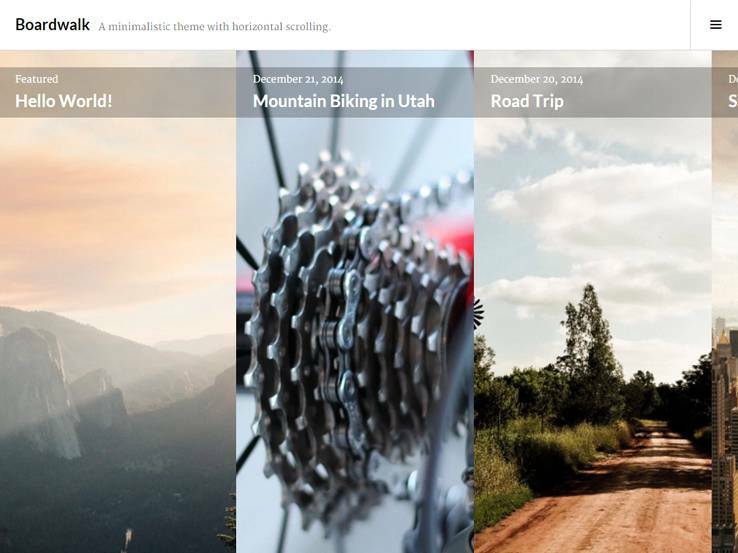 The template supports featured images, tiled galleries, and sticky posts, which you can use to highlight your most important content. The back-end contains settings for customizing your blog. You can easily change the header image, colors, fonts, layouts, and more to match your style. Besides, there are widgets to easily add features to your sidebar or footer, page templates, and support for custom menus. 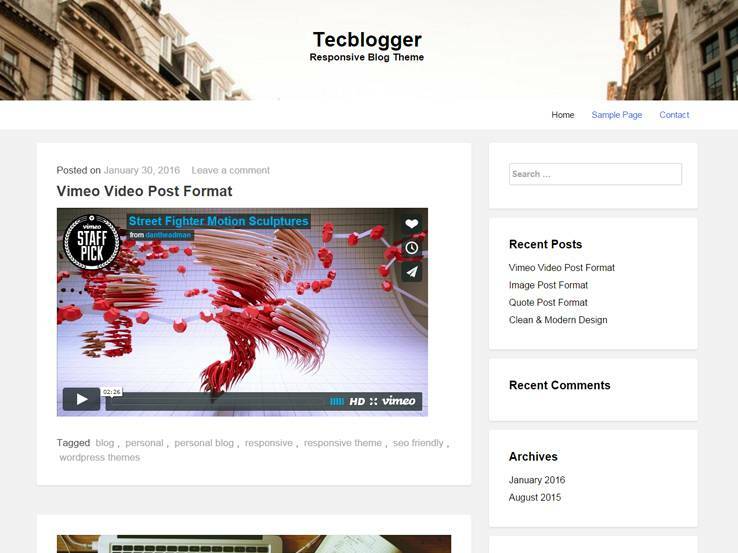 Tecblogger is an elegant personal blog theme with a nice header and support for custom menus and featured images that add depth to your blog’s content. The responsive design ensures all your readers enjoy a smooth browsing experience even on smaller devices. Support for post formats means you can publish a wide variety of content on your blog. You can publish image galleries, add audio posts, or embed videos from YouTube and Vimeo. Besides, the template provides different layout options, custom colors and backgrounds, custom widgets, and much more. The Origin theme brings a pleasant minimalist design, which is great for bloggers looking to put their content at the forefront. Readers will have no problem finding the content they want, whether on mobile or desktop. The theme’s customization options are built into the WordPress theme customizer and allow you to change things like colors, backgrounds, logo, and layout. You’ll also find advanced widgets to easily extend your blog’s features, breadcrumbs, and translation tools if you’d like to localize your theme. 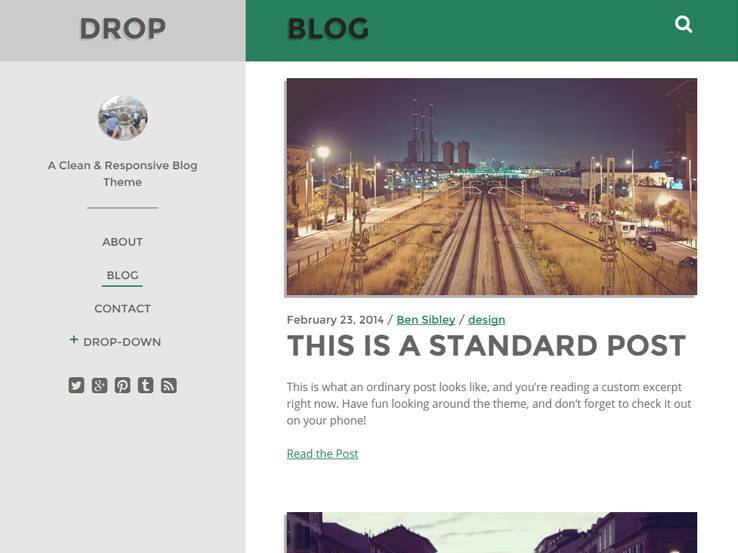 The Drop theme features a clean and minimalist design that puts your content first. Whether you blog daily or on a weekly basis, the theme will help you present your content elegantly. The stylish theme comes with a nice side menu for navigation. The sidebar also presents a spot to display your social icons, author bio, tags, and other elements. Additionally, the template comes with several page templates including galleries and archives. You’ll also get access to tutorials and top-notch support from the developers in case you need help with the theme. 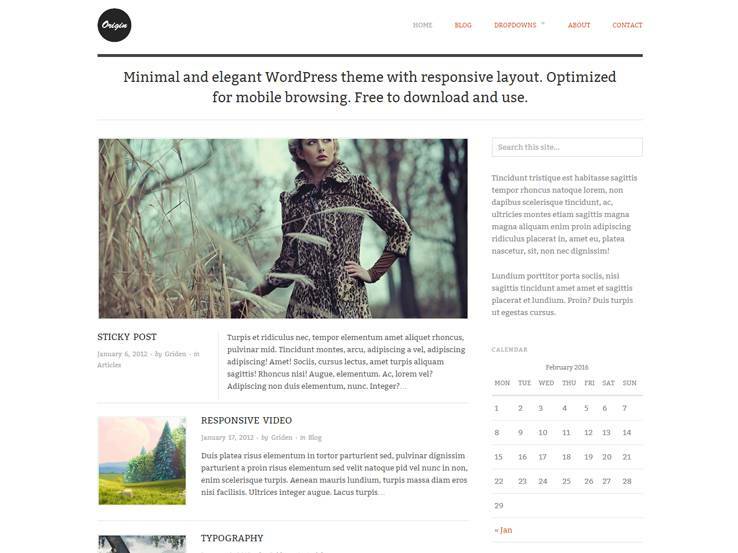 Wonderful collection of WordPress themes for blog lovers. Thanks for the kind words! We really appreciate it. Did you find a favorite? I use the Ryu one myself. Great theme! Thanks for the feedback! What was your favorite feature?